The English Minnits game (link to design portfolio) is a complimentary teaching material, which can be easily implemented in educational process and follows the syllabus. The game includes colorful scenes and funny NPC characters that the main character can talk to and perform requests for, combat scenes where the main character confronts adversaries, and a magnificent Minnits slot machine to train in English listening comprehension. The game has web version as well as is available on iPad and Android tablets. At the current stage the game is deployed to schools in Sweden, Denmark, Germany, The Czech Republic, Spain and Colombia. Apps for the consumer market are available on AppStore and Google Play. 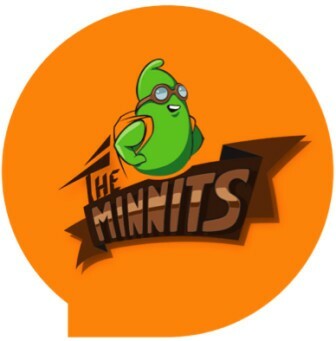 The English Minnits is an adventurous English-learning game, developed for children of 10 to 13, owned by Universal Learning Games AB. The game is available on tablets and desktop. Do you want to try the game and take a look at the Kingdom of Minnutia? You can download a free trial for 10 days on the website or a free iPad school version on the AppStore. Full version is available on the App Store and Google Play.